William Michael Morgan. "Twinkle Twinkle Lucky Star". New Live Music Video. - Newhillbilly website. 100% American Roots Music. William Michael Morgan. "Twinkle Twinkle Lucky Star". New Live Music Video. William Michael Morgan performs Twinkle Twinkle Lucky Star. 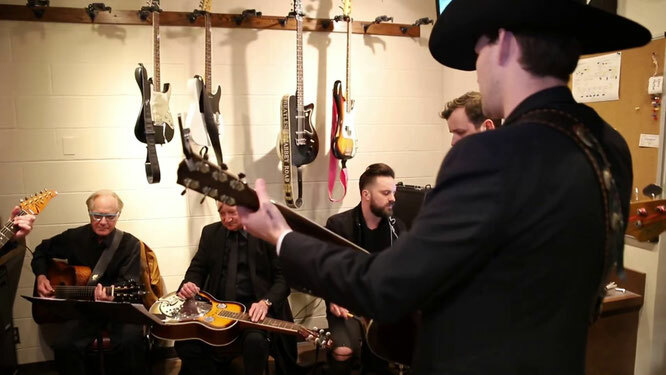 "Here’s one of my all time favorite Merle Haggard tunes from the backstage rehearsal at the Opry before my performance on February 9th!" says Morgan. "Twinkle, Twinkle Lucky Star" is a song co-written and recorded by American country music artist Merle Haggard backed by The Strangers. It was released in November 1987 as the first single from the album Chill Factor. "Twinkle, Twinkle Lucky Star" was the last of Merle Haggard's thirty-four number one singles as a solo artist. The single went to number one for one week and spent fifteen weeks on the country chart. Haggard wrote the song with Freddy Powers.